Maretron's DCM100 DC Monitor is an advanced electronic monitoring device used to measure the voltage and current of any direct current (DC) power source or load. Examples of DC power sources that can be monitored with the DCM100 include batteries, alternators, solar panels, and wind generators. 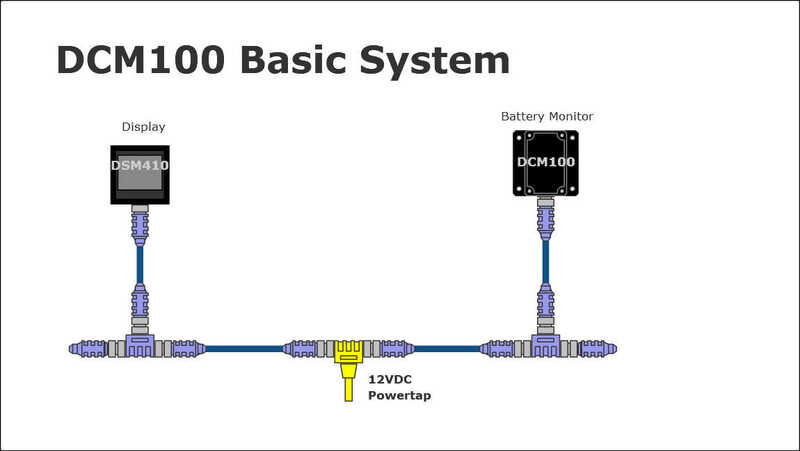 The DCM100 can also be used to monitor DC loads like inverters, windlasses, DC refrigerators, or any DC branch circuit. When the DCM100 is used to monitor batteries, sophisticated circuitry and software algorithms monitor battery temperature, load current, charging current and terminal voltage to precisely compute battery state of charge, and time remaining. To measure current, the DCM100 uses an included state-of-the-art Hall effect current sensor which simply slips over the wire - you don't have to break connections or install connectors as you do with inline shunts used by other solutions. 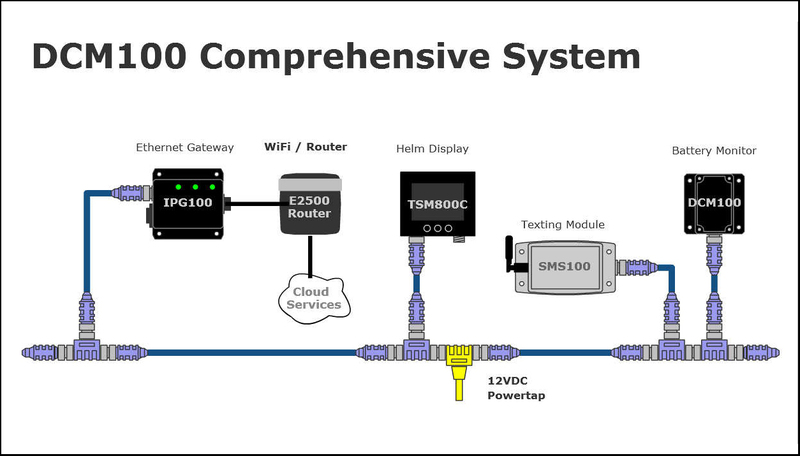 Best of all, the DCM100 is NMEA 2000� certified so you can view any and all DC information anywhere on the vessel using a compatible NMEA 2000� display. The DCM100 is a key component of Maretron's N2KView� vessel monitoring and control system. Documents marked as html* may be translated into other languages. Maretron�s Direct Current Monitor (DCM100) provides information about the DC electrical system and in this example the DCM100 is used to monitor the house battery bank. Vital battery information including voltage, current, state of charge, and battery temperature are provided. Maretron�s Direct Current Monitor (DCM100) provides information about the DC electrical system. In this example the DCM100 is used to monitor the house battery bank. This comprehensive system includes an 8� touchscreen (TSM800C) for displaying information about the battery as well as triggering any associated alarms or warnings. Triggered alarms or warnings can be sent off of the vessel using the texting module (SMS100), for example if the battery voltage drops too low for the bilge pumps to work. The Internet Protocol Gateway (IPG100) and WiFi router (E2500) allows the information to be viewed wirelessly on the boat using smartphones and tablets and remotely from the shore with an Internet connection.